Bubba Reserve Wood Flooring is an excellent flooring option for businesses and residences alike. 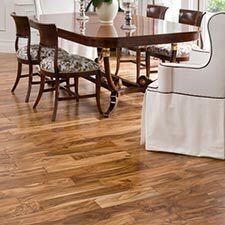 Reserve Bubba Wood Flooring is made from several different wood species. 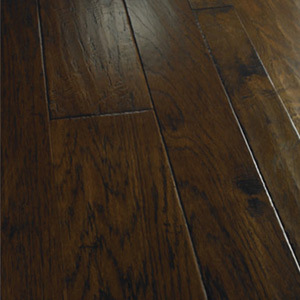 Bubba Reserve Hardwood Flooring is made with an extremely scratch resistant finish. 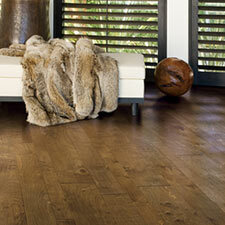 This wood flooring collection is look great and wear well in all types of areas. 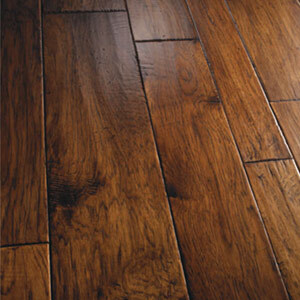 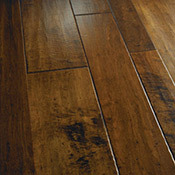 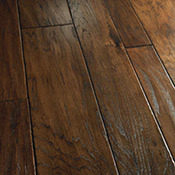 Bubba Reserve Wood Flooring is made using 3 different types of wood: Hickory, Maple, and Walnut. 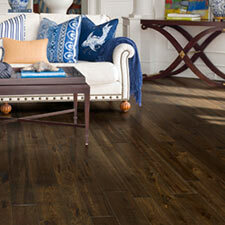 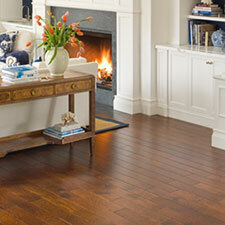 Hickory wood is found in 4 colors in this flooring collection. 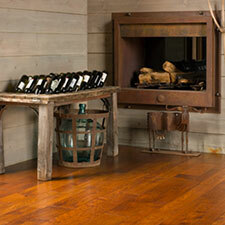 Hickory is the hardest wood in this collection and has a Janka Hardness Score of 1820. 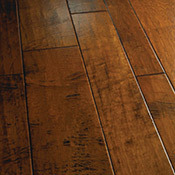 Maple Wood is used in 3 of the colors in this collection. 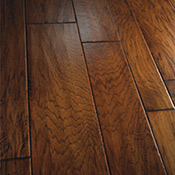 Maple is a dense wood that scored a 1450 on the Janka Hardness Test. This flooring features a single color that is made with walnut wood. 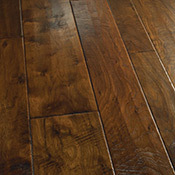 Walnut is the softest, easiest to dent, wood in this collection. 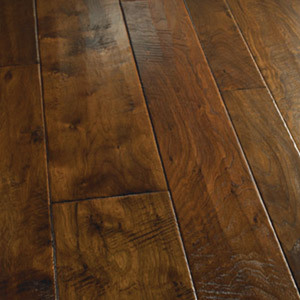 Walnut has a Janka Score of 1010. 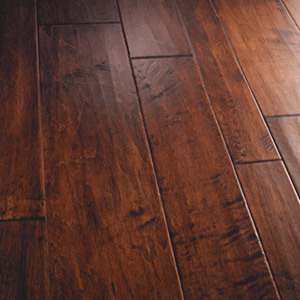 This Bubba Engineered Hardwood Floor is made with a very durable 8 coat Valspar with Aluminum Oxide Finish. The Valspar Wood Finish used on this flooring does not hide any of the beautiful character markings shown on the woods surface. 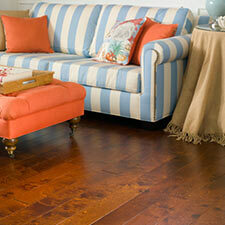 This valspar finish ensures that your floors will look amazing for many years with regular maintenance.